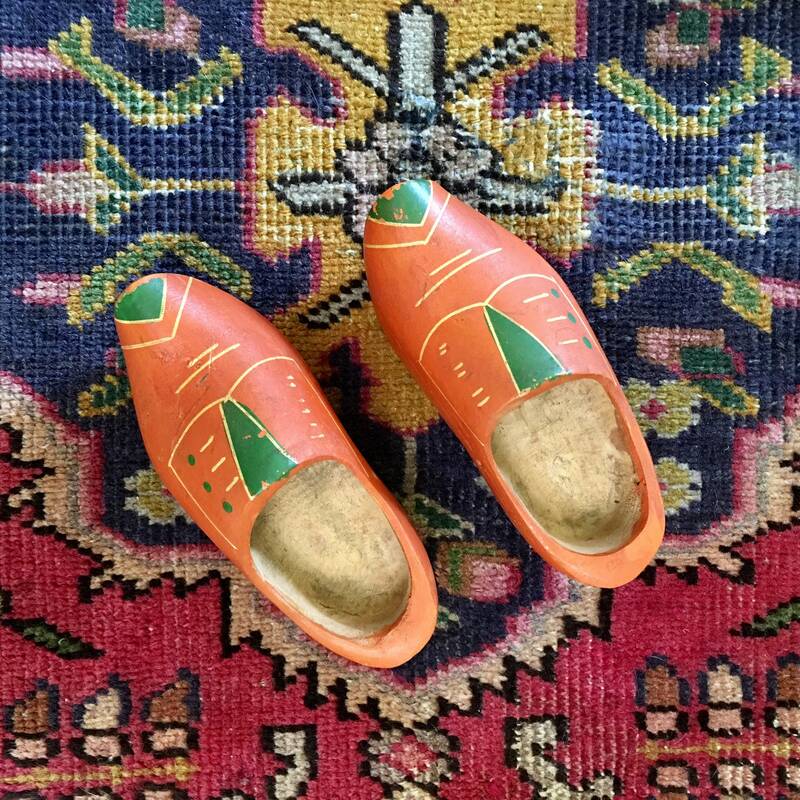 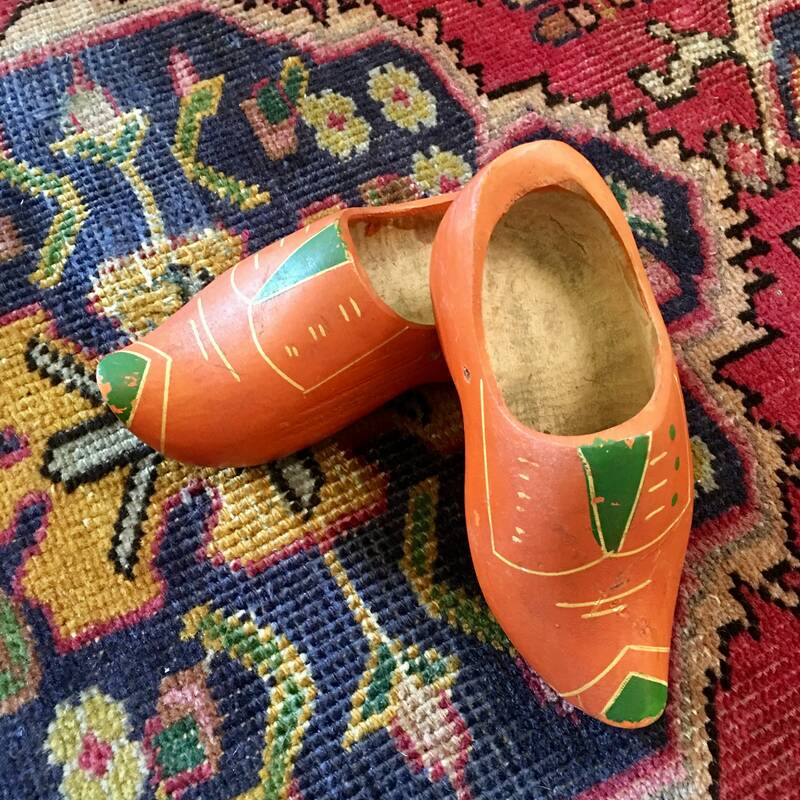 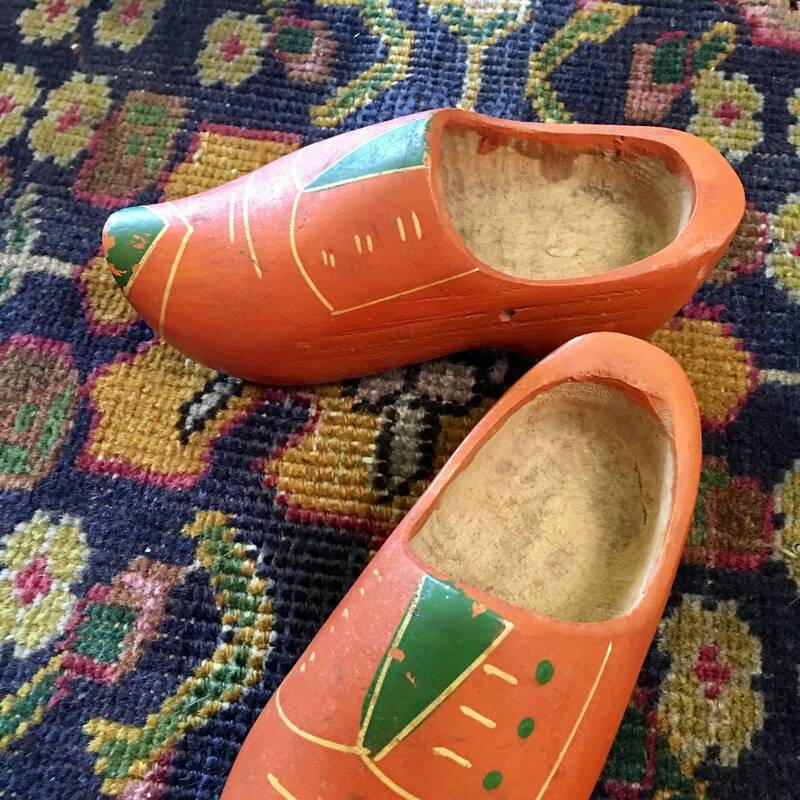 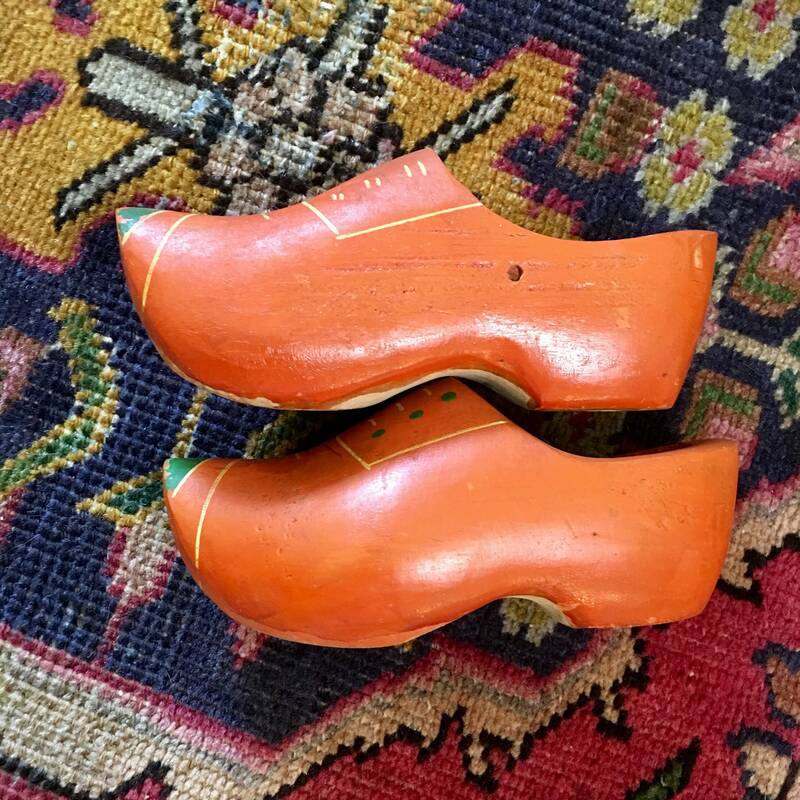 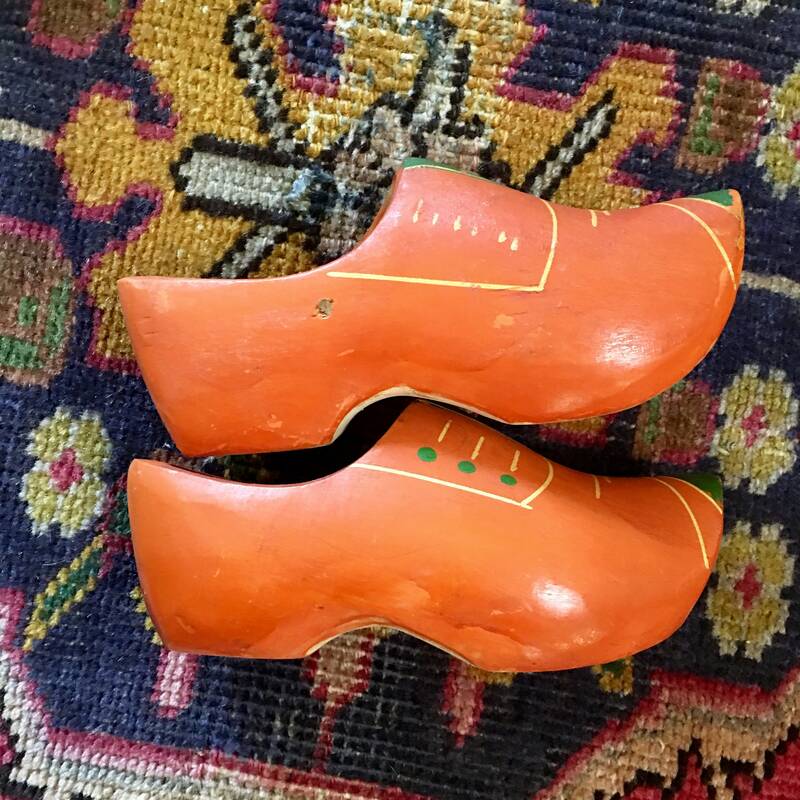 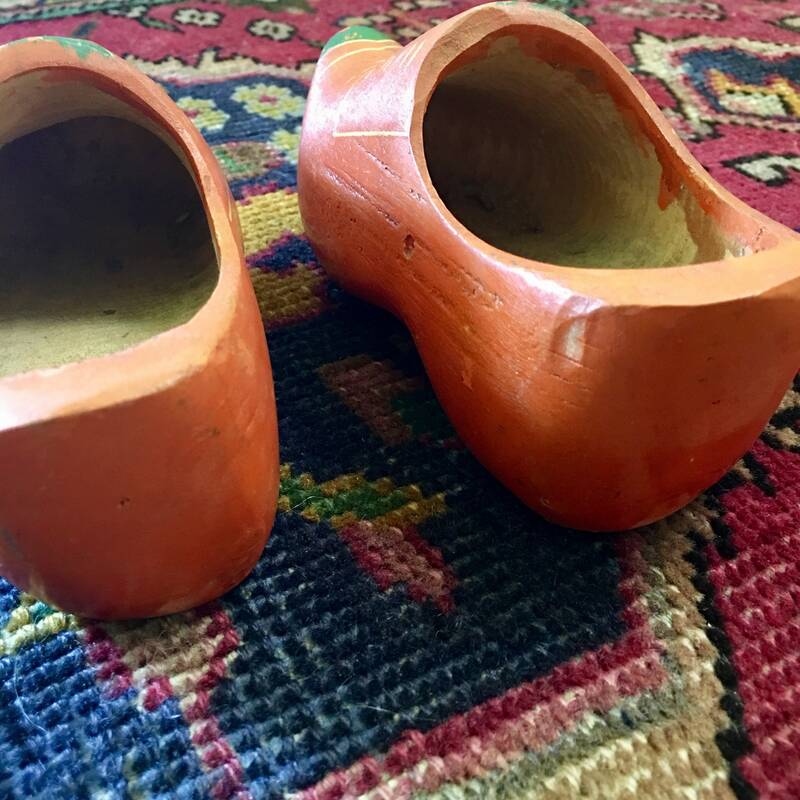 Sweet pair of vintage wooden clogs - child's sized and hand painted in pumpkin orange, olive green and ivory. 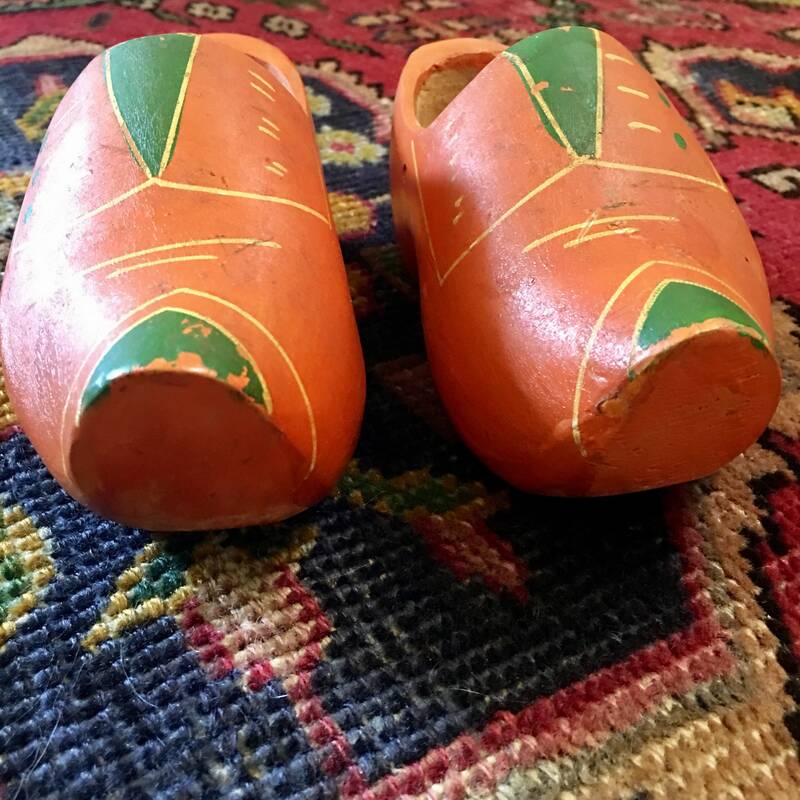 Single hole drilled through each interior side, maybe for hanging? 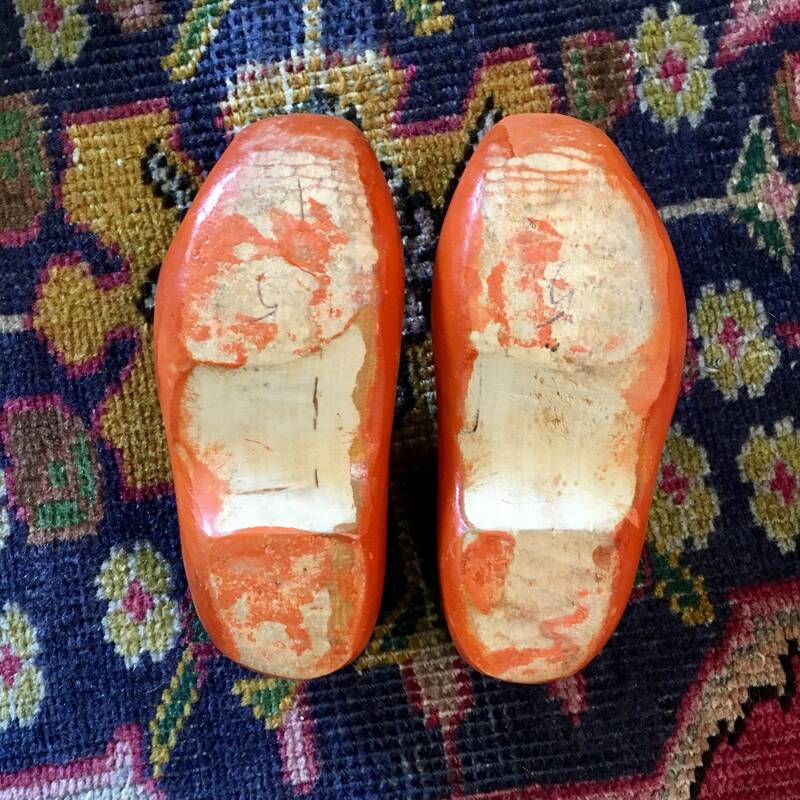 Typical dirt and wear for age.